I love discovering fun new things, especially when they turn out to be totally different than what I thought they’d be. Like Ratboys. What sounds like a dirty gutter punk band based on their name is actually a charming, ethereal duo from Chicago that I can’t stop listening to. Another example is an aged Muscadet with a texture I’ve never experienced from the varietal that reveals layers of complexity with each sip. Both feel like summer as an adult - fun, sunny and lighthearted but with serious undertones that bring you back down to reality. Together, Ratboys’ “GN” and Domaine R de la Grange’s Le Grand R Cuvee d’Exception Muscadet Sevre et Maine lift eachother up with a collective buoyancy. Art created out of personal, intimate, authentic relationships always resonate. There’s an understanding and respect there that translates to the audience and organically works. This dynamic is what makes up both Ratboys and Domane R de la Grange. Ratboys is Julia Steiner and Dave Sagan - two college buddies in Chicago who started playing music in their dorm rooms and now have a full band that plays international tours. Domaine R is a father and son winemaking team and the “R” represents both their names - Remy and Raphael. There are nine generations in their family’s wine growing history dating back to 1680 in the Muscadet Sevre et Maine wine region in the Loire Valley. The first taste of the wine and the music buzzes with sensory stimulation. There’s a lot going on, and each layer is delightful and invigorating. At first, this Muscadet made from the Melon de Bourgogne grape seems pretty classic with zesty citrus and a bone dry palate that reverberates with acidity. Then there’s a revelation of this rich, creamy, almost viscous texture and a minty finish. It’s still very well structured for a six year old Muscadet. The combination of the vibrant acidity and round texture as a result of some skin contact during fermentation and one year of aging on the lees, plus the refreshing lime pith, minerals and mint on the palate result in a very cool and unexpected wine. “Molly” is the first track on “GN” and it glistens. Upon hearing it I was totally hooked. I don’t know what I love the most - Julia’s silky sweet yet understated edgy vocals, the melody or the lyrics evocative of young crushes and earnest intentions: “I just want to love my family/ Hold my shelter and lie in the symmetry/ I just want to hold you, Molly.” This inviting wine definitely fits the mood of the song - both are hard to enjoy without a smile or a head bob. “Elvis in the Freezer” is such a gem. It has a country bent with lap steel and twangy guitar, but it’s also a little rock and roll and has sing-songy vocals with somewhat morbid and bizarre subject matter. Elvis is in fact a cat belonging to Julia’s family that was stored in a freezer after its passing. This song is certainly multifaceted like the wine that could be a tricky one to determine in a blind tasting. Every song on this album is a treat in its own way. “Westside” has dreamy guitar, moody sentiment and reflective, introspective lyrics. 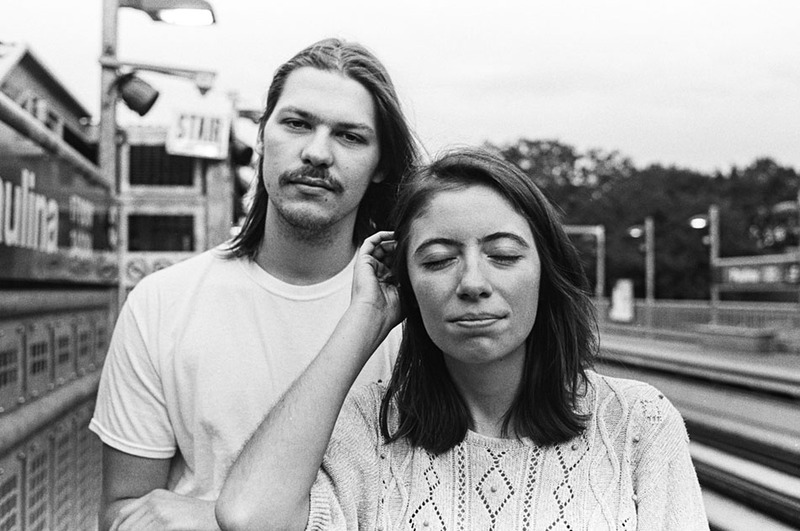 “Control” serves up some modern alternative honky tonk vibes that gets your feet moving. “The Record” is a super catchy, poppy love song that also rocks out and might be my favorite on the album. It’s a fusion of different styles and sounds like the Muscadet which combines classic acid, citrus and briny qualities with a round and nutty palate reminiscent of a Chardonnay or an Alsacean Pinot Gris. Ratboys pulls from a variety of inspirations on this album, including their own lives and crazy true stories about people in history, like on “Crying About the Planets” recalling Antarctic explorer Douglas Mawson and on “Peter the Wild Boy” about a famously feral child from Hanover in Northern Germany who lived in and off of the forest. Both of these songs are a bit more solemn and pensive than the rest of the album, which gives it nice depth and range. “Peter the Wild Boy” makes for an excellent closing track on the album with the surreal-like lyrics and the gorgeous strings that arrive halfway through, driving an epic, expansive sound leading to a grand ending. “GN” and Le Grand R Cuvee d’Exception Muscadet are both complex while having an ease to them. They’re both doing a lot without seeming like they’re trying too hard. Their pleasant and pleasing nature create a blissfully relaxed state - lovely for enjoying on a porch with (or without) friends at sunset.